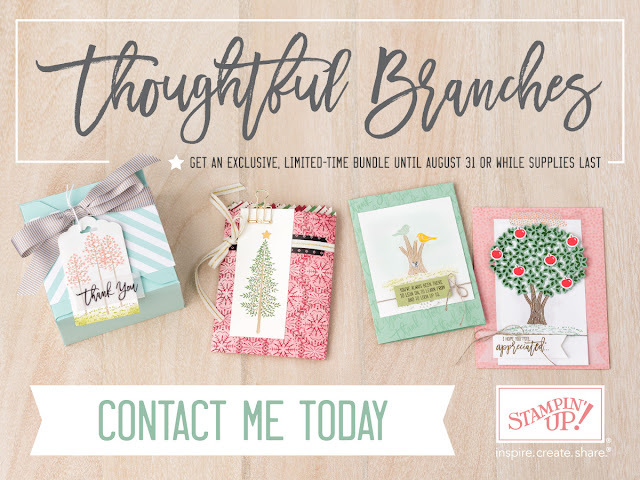 An exclusive NEW stamp set and framelits bundle! This versatile set will allow you to make so many designs for every season of the year. You will love the options of trees to stunning hydrangea blossoms. Contact me to get yours ordered ASAP! 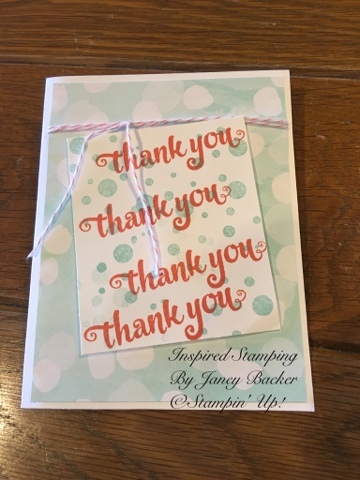 Another stamp set that made a cheerful thank you card. I will always love this sweet set Sprinkles of Life that makes ice cream cones, cupcakes, and clouds! Isn't this the best triple scoop of fun for birthdays?!? 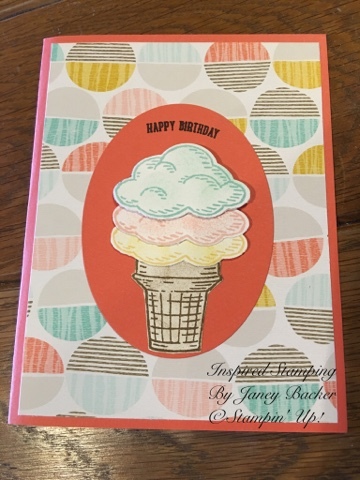 More odds and ends with the stamps from the Watercolor Wishes card kit. I hope you pull out your odds and ends of DSP and embellishmenst and design some fun cards to send to your friends and family. Leave me a comment of which card is your favorite - I would LOVE to hear from you! 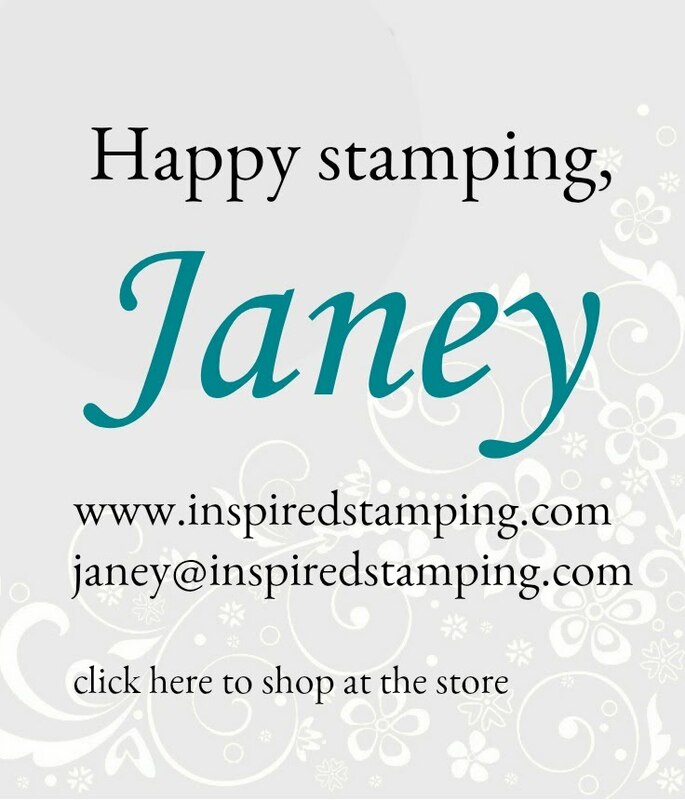 I love my stamping team - we have so much fun together. I never anticipated meeting such amazing ladies, with such a variety of backgrounds, bound together with a love of stamping! Our gracious hosts have a museum of taxidermy displayed in their home. I have never seen such a fascinating display in a home. The dining room homes a bear with little snowflakes on his back. The moose and mountain lion along with many other animals reside in the family room. Ducks were flying high down the halls. Antlers grace the bar lights. The food was spread everywhere and we had amazing smoked brisket. Outdoors had our dining tables decorated with four different themes. This was the flowers table with boxes of candies. Mason jars and milk jars on this table. Here is a fiesta theme with a mini pinata and little bags filled with chocolate covered coffee beans. She even decorated the salt and pepper to match the theme! Table #4 has bears and a camping theme on a slab of log. This is the s'mores treat bag and an adorable little forest scenery. This corner waterfall was so serene. I would love to let it lull me to sleep and melt away the day! Apparently we are also good cooks. Isn't this a beautiful bowl of layered jello. The desserts are so beautiful and yummy! Of course we had games and fun with this flip flop pinata! Trying to make a hit was hard with that flying flip flop attached to the pull rope! Then we had a blast playing a blind stamping game. First you study the assigned design and arrange your table of supplies. Oh look I was blindfolded too! Then we had coaches to tell us "higher, left, over, under" to get our hands and supplies positioned to perfectly copy that assigned design. Well here is my masterpiece of stamping blind with awesome coaches! Mine is on the left and the original is on the right. Not too bad and it was so fun!!! I would love to have you join my team, it is such a great group. 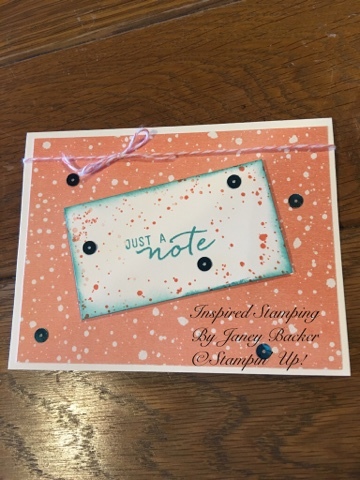 Stamping and relationships go great together - so join me! Finding something exceptionally fun and bright for teens is always a challenge. This Marquee Messages stamp set is the perfect solution that pops with an electric sentiment. Copper embossing provides a lot of shine and texture! My teens approved and appreciated the colors and fun design of this image. This is a success! 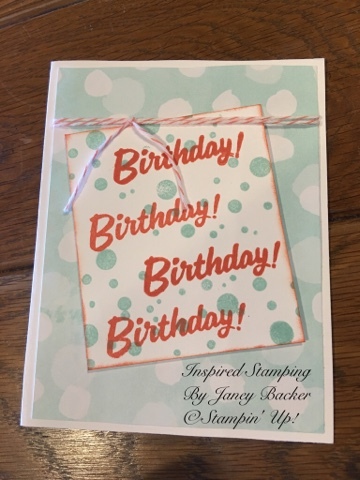 Even teens need cards that encourage them and let them know they are special. I hope you enjoy using this set to make cards for your family and friends.